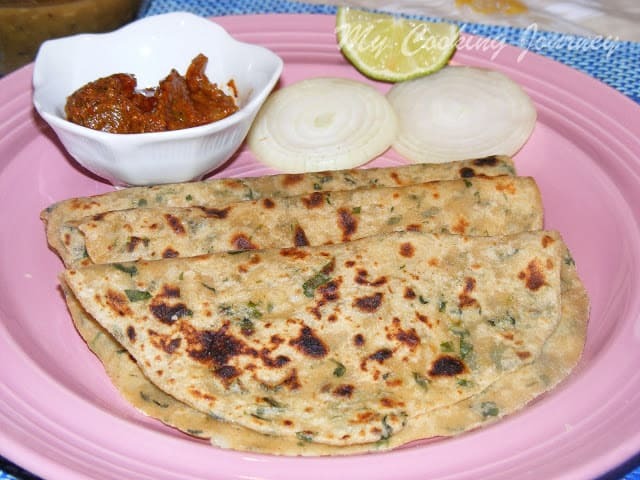 My post for the 3rd day of blogging marathon under the theme Lunch box menus is Aloo methi paratha. I cannot resist not buying fresh fenugreek leaves when I see them in the local Indian stores. 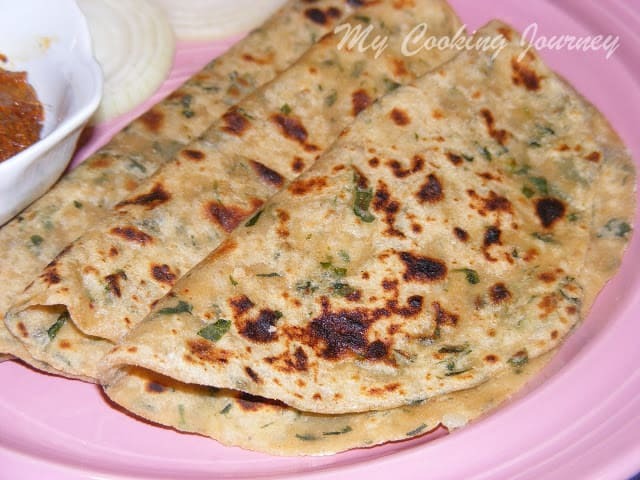 I love to make stuffed parathas for lunch because it is very filling. 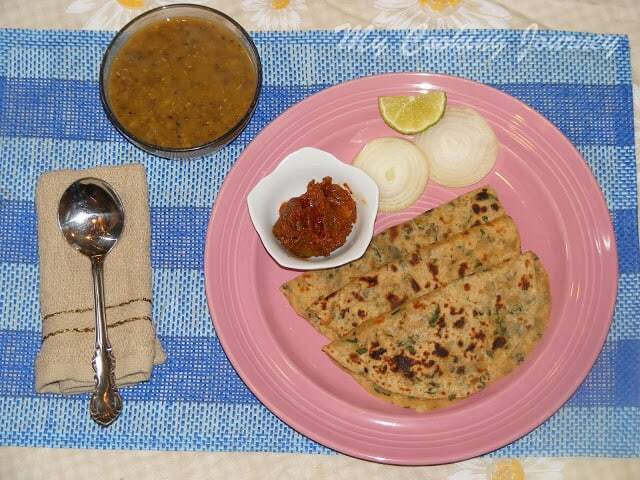 This paratha with the addition of the potatoes makes it a very filling lunch. My son loves to take it with Spiced Apple Jam. 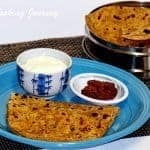 This can also be eaten with just plain yogurt/curd. 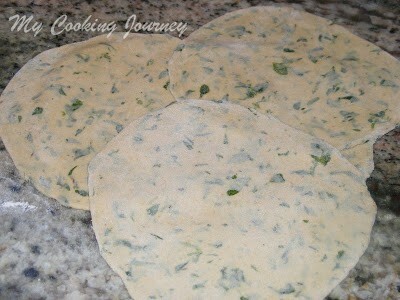 I always make just plain methi parathas. 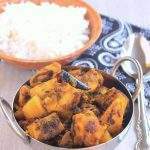 I adapted this recipe from Chef Sanjeev Kapoor’s website. 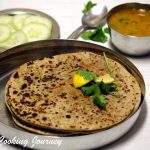 The addition of potatoes also makes the paratha very soft. 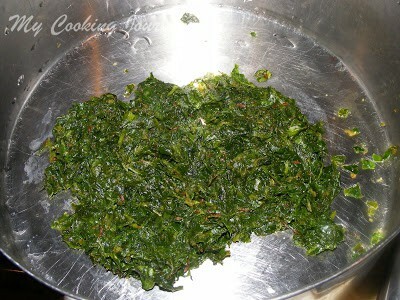 Separate the leaves from the methi, wash it, chop it and keep aside. In a pan, add 1tbsp ghee.oil and add the cumin seeds. Once the seeds are fried, add the grated ginger. Then add the chopped methi leaves, salt and red chili powder. Mix well and cook until the leaves are wilted and all the moisture dries up. Switch off the heat and transfer the contents to a big bowl. Meantime, boil the potatoes, peel it and then mash it. 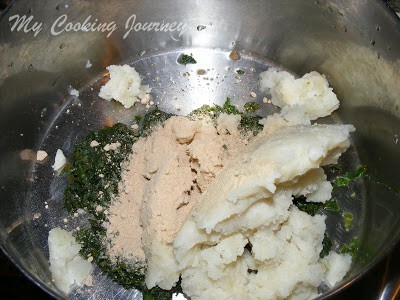 Add this mashed potato to the bowl with the cooked methi leaves. To this add the whole wheat flour, amchur powder and mix well. 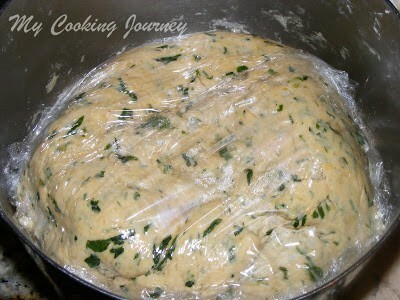 Now adding just enough water, make a soft dough and leave it to rest for about 20 – 30 mins, covered with a plastic wrap. Now divide the dough into 10 and roll it into parathas. 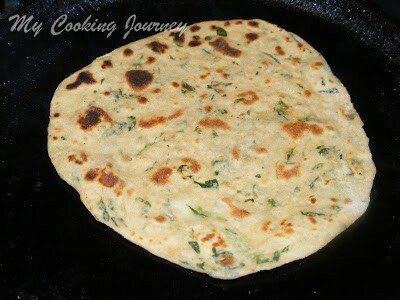 Cook the parathas applying ghee or oil on both sides. Cook until both the sides are golden brown. 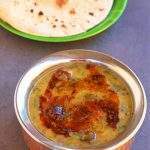 Serve hot with some pickles, onions and raita! I served it with some Khatta meeta Moong dal and pickles! My son took it school with spiced apple jam on the side. 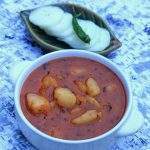 This is my Fav Parota ..
Super yumm.love to have it with pickle. 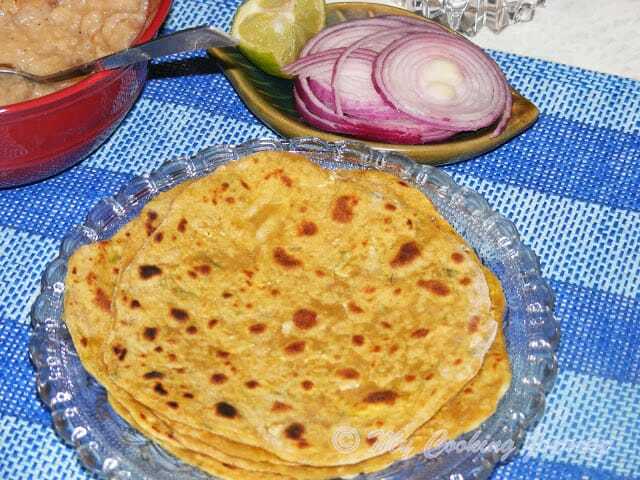 Delicious paratha, I will try it perfect for lunch box. 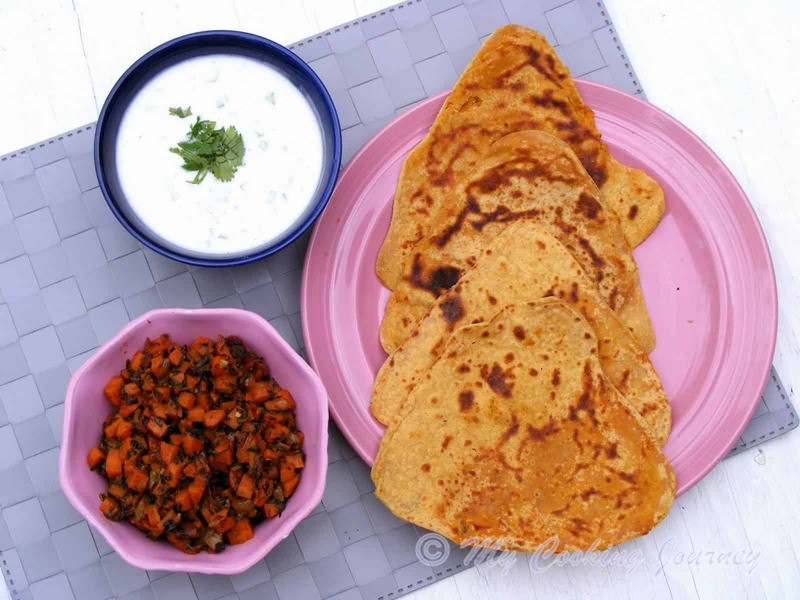 yummy combo..very healthy parathas too! 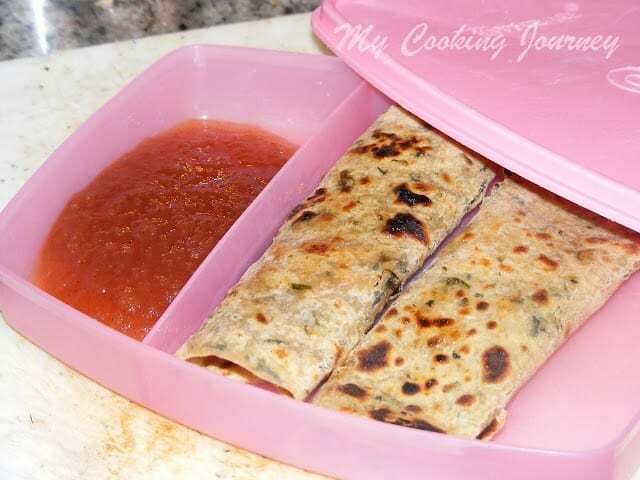 Healthy parathas and perfect for lunch box. It's different than usual. Hope tastes great. 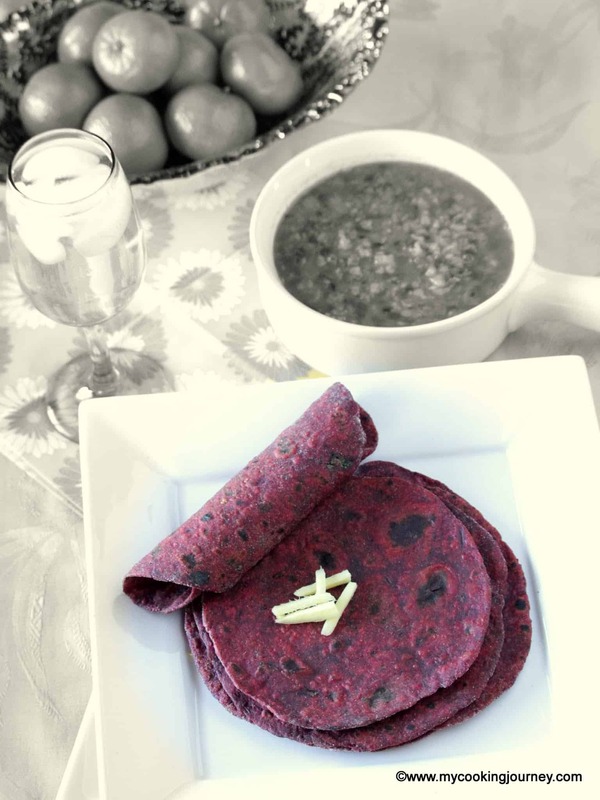 Healthy combo and nice way to add veggies to kids meal..
Wow.. What a healthy and delicious parathas. 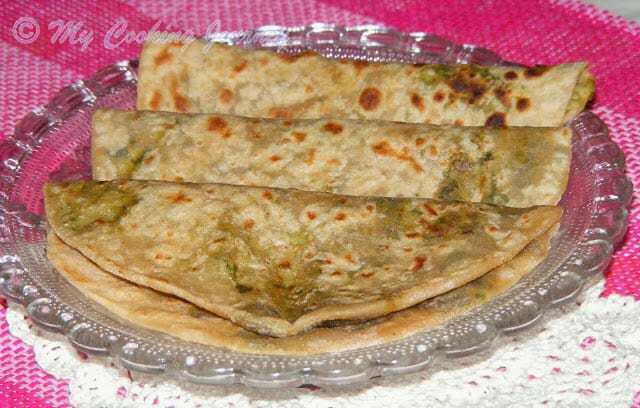 always love methi parathas. They look good smell good and everyth. 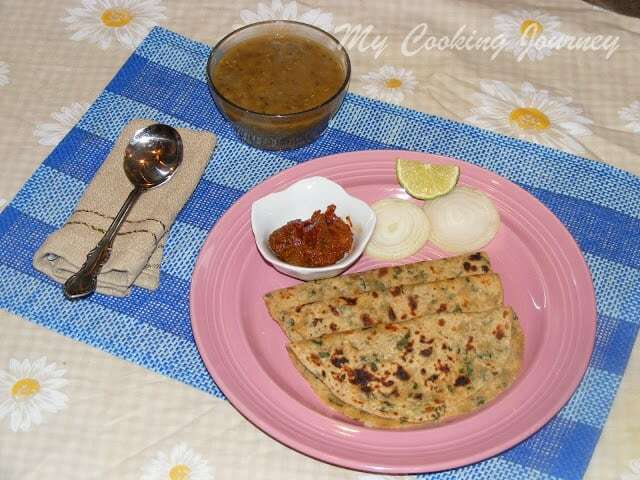 Wat a healthy and my kind of food, with spiced apple jam can guess how these parathas will tastes,delicious.